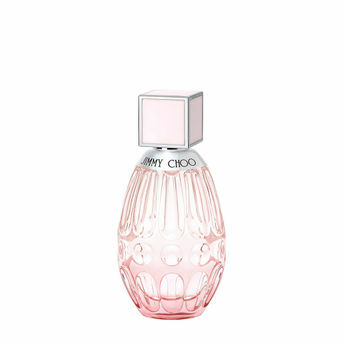 Jimmy Choo L'Eau is an expression of the dynamic, alluring and adventurous Jimmy Choo Woman. As delicate as she is defiant, as elegant as she is audacious, the Jimmy Choo Woman's duality is matched by L'eau's strong, free spirited yet resolutely feminine scent. About the Brand: Jimmy Choo Ltd was founded by Tamara Mellon in 1996, as a luxury footwear company. The brand now encompasses an iconic lifestyle brand defined by an empowered sense of glamour and a confident sense of style. Women's shoes remain the core of the product offer, alongside handbags, small leather goods, scarves, sunglasses, eyewear, belts, fragrances and men's shoes. Sandra Choi, niece of Mr. Jimmy Choo, is the Creative Director. She is responsible for the design of each of the label's product categories as well as brand identity. Together with Pierre Denis, CEO, they share a vision to create one of the world's most treasured luxury brands. Alternatively, you can also find many more products from the Jimmy Choo L'Eau Eau De Toilette range.